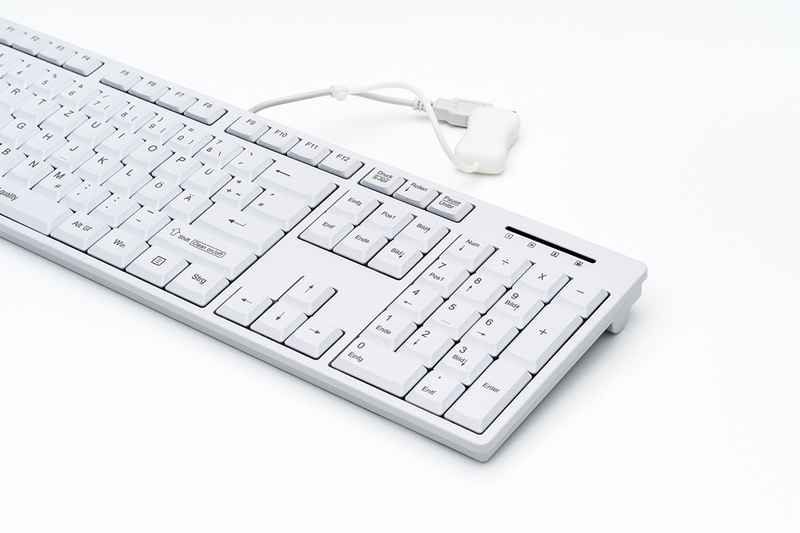 The CleanType® Easy Basic is a high-quality plastic keyboard that is easy to clean thanks to its water and dust resistance, making it ideal for use in hygiene-sensitive areas such as hospitals, clinics, medical practices, laboratories or pharmaceutical companies. You can individualize your CleanType® Easy Basic in line with your wishes by having your own company logo lasered on it and therefore integrating it perfectly into your current corporate identity. In addition we can equip this keyboard with any existing country layout. We are able to do this even if you only require a small number of items. 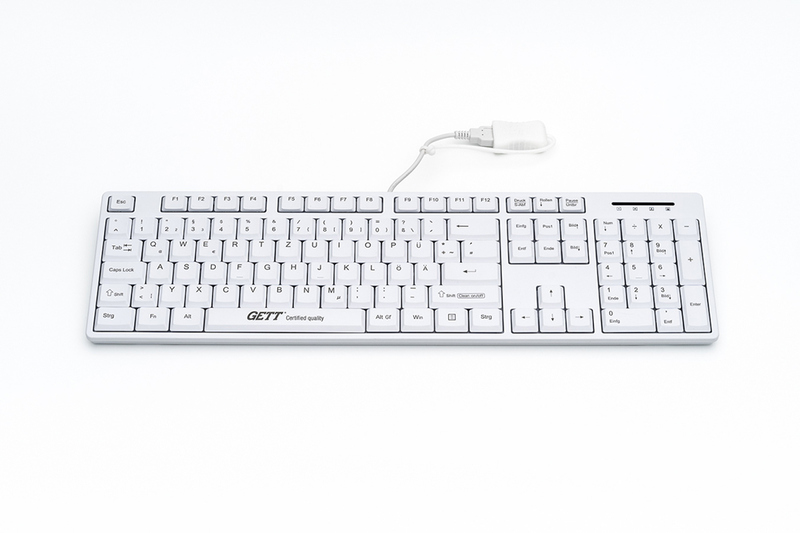 With the Brand GCQ we offer hygienic keyboards and mice, which are supplied from our sister company GETT ASIA. GCQ stands for “GETT — Certified Quality”. This refers to products that GETT ASIA manages with other original manufacturers and which passes a strict quality control process. 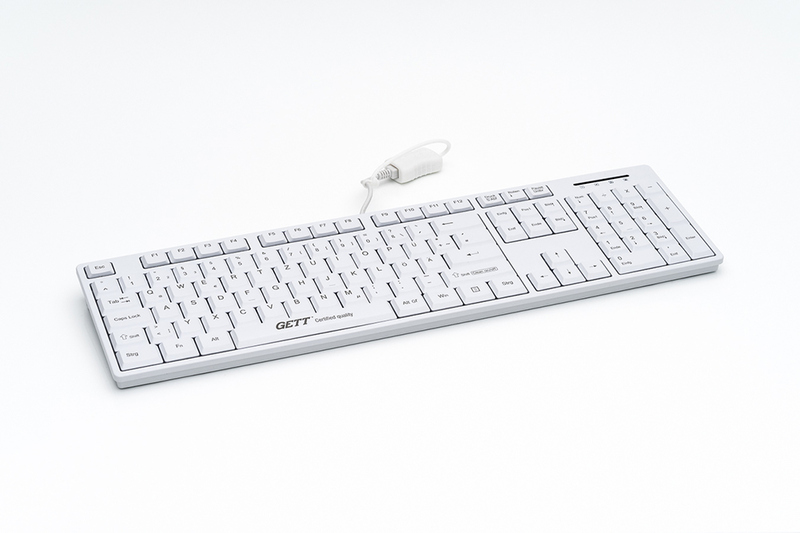 With GCQ products we are able to offer standard keyboards and mice with special features. They complement our assortment. Improved hygiene management thanks to antimicrobial surface. This keyboard helps to maintain a clean work space. Discover more products of the basic range here!